Empower your Enterprise Mobility by using the most advanced App Risk Management on the market. 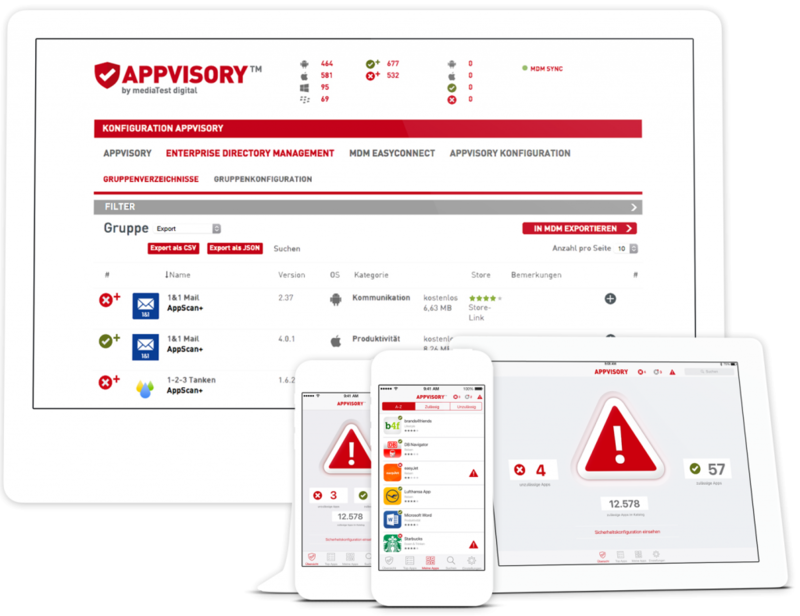 APPVISORY is a cloud-based Mobile Application Management service: It scans applications by combining binary static, functional dynamic and network traffic analysis to identify vulnerabilities, risky and malicious behaviors. The result is the strongest Black- and Whitelisting portfolio on the market with secure and productive applications for business purposes and private use. It is an extremely scalable and customisable system, which empowers enterprises to integrate App Risk Management into any mobile IT infrastructure—securely, productively and user-friendly. Secure your mobile application and show your users that you take data protection and data security seriously. 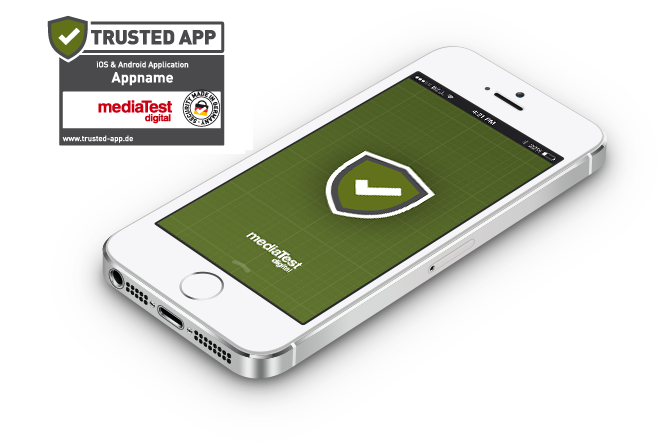 The TRUSTED APP seal is a guarantor for data security and privacy of your mobile application. TRUSTED APP is all about securing your app and actively showing that you take care of your users data and privacy as an app provider or developer.